Born and raised in Los Angeles, performance poet Jayne Cortez died at the close of 2012 in NYC, having found her own voice and using it throughout her long life, writing, publishing, and performing poetry that addressed racial and sexual oppression. The 2010 video above features her performing with Denardo Coleman, her son with Ornette Coleman. 6-9pm Open Mic! Poetry! Music! Art! Download this flyer pubpartySum2012 Thanks to Lori Lindhard for getting Gary Chafe’s art to us to use. 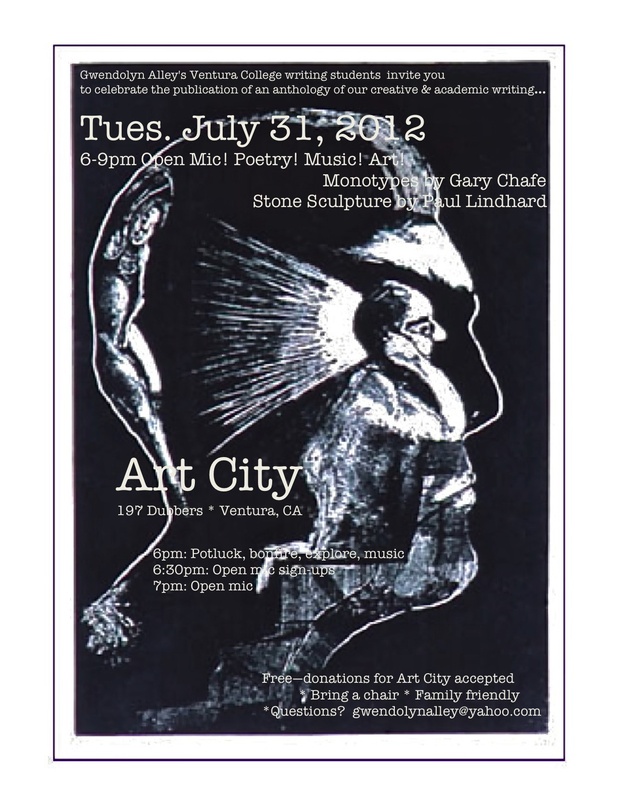 Thanks to Art City–Russel, Paul, Lori, Joanne et al for hosting us and supporting spoken word in Ventura! For nearly 30 years, UC Santa Cruz has recognized Martin Luther King Jr with an annual convocation. Last month, UCSC invited Nikki Giovanni to speak. And wow, did she have a LOT to say! I wish I could have been there. She presents so much history with so much heart and humor that I am scrambling to figure out how to fit this into my already full syllabus. I can certainly make it an extra credit or make-up assignment, so if you are one of my students, you can watch and listen to this and write about it. 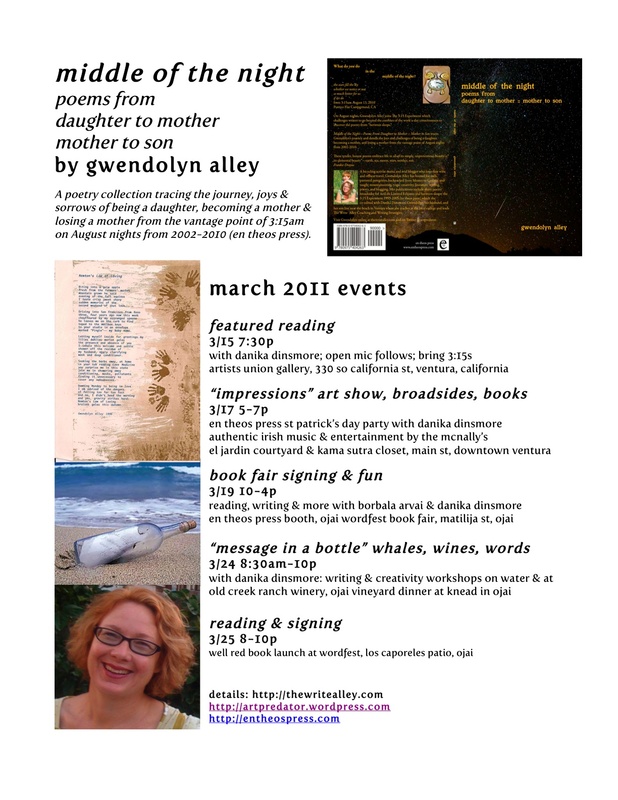 Please join me Tuesday March 15, 2011 at 7:30pm in the Artists Union Gallery for the first reading from my new poetry collection Middle of the Night Poems From Daughter to Mother :: Mother to Son (en theos press 2011). Danika Dinsmore, who began the 3:15 Experiment in 1993, will be reading and I am excited to hear work from other 3:15 poets in the open mic after my feature. My new poetry collection Middle of the Night Poems From Daughter to Mother :: Mother to Son (en theos press 2011) will be here tomorrow! 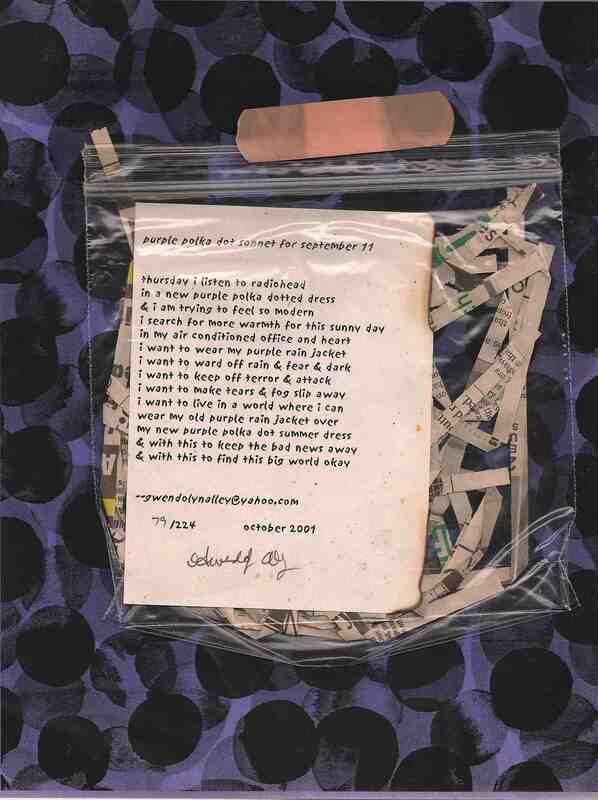 See the cover, discover the contents and learn more about the broadside pictured. “I am” poems can be lots of fun to play with as a structure for a poem or just to explore ideas. You can write about yourself or take on a persona. This one was written with a group of kindergarten and first graders.